Although we are a little late in posting this, you haven’t missed the opportunity completely. Five time Grammy award winning bass player Victor Wooten is touring India and has already had concerts in Bangalore, Chennai and Kolkata. He plays today at the Shanmukhananda hall in Mumbai. Wooten has won the “Bass Player of the Year” award from Bass Player magazine three times in a row, and was the first person to win the award more than once. 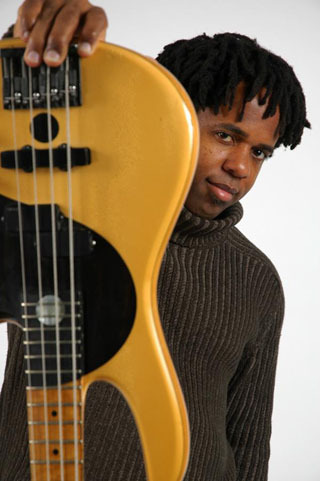 In addition to a solo career and collaborations with various artists, Wooten has been the bassist for BÃ©la Fleck and the Flecktones since the group’s formation in 1988. Watch the video below to see the magical fingers of Victor. So, if you are around the Mumbai area, do not miss this opportunity to see one of the best bass players alive live!